When the pool at the Republic Aquatic Center clears in the evening, the Sharks come out. The Tiger Sharks are Republic’s competitive swim team, with 66 swimmers this year. Coach Dixie Curtis says thats about in line with the overall numbers of recent seasons, with one important change. 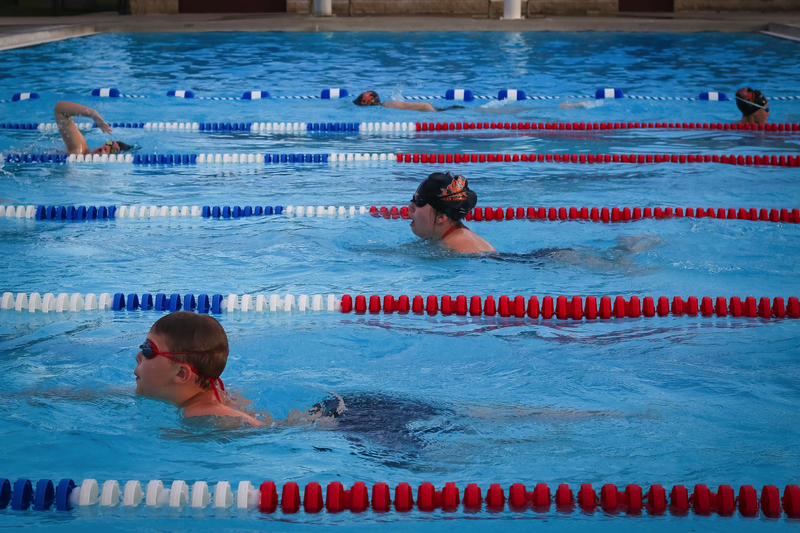 Fewer than a dozen swimmers participated in the program when it started more than a decade ago. Curtis says as swimmer participation has grown, so has parental involvement. “They are excited to learn this new sport and help in any way we ask them to. For most of the parents, swimming is a whole new thing, and seeing them all jump in and help at meets makes me feel really luck to be a coach at this pool,” Curtis says. With 66 swimmers, it takes a full slate of parents and coaches to keep things running smoothly. Many of those current coaches were in the pool as competitors just a few years ago. “The growth I have had the opportunity to see in these kids is amazing,” Curtis says. “When you have the opportunity to see a 5- or 6-year-old start his or her swimming career, and see them grow as a swimmer over the next couple of summers … is why I do this job. The Tiger Sharks host their second home meet of the season Friday.